There is a lot of talk about bees these days here on the farm. 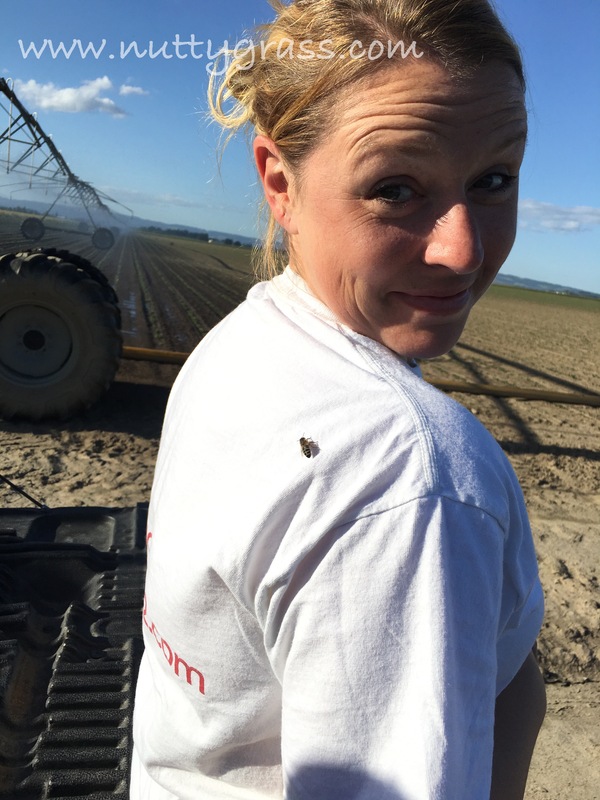 Not only is it the time of year when bees come out to start pollinating the flowers of many of the plants here in the Willamette Valley, but it’s also the time of the year when a lot of pests come out. This makes it especially challenging for many farmers who are as diversified as we are. On the one hand as a farmer I need to take care of the crops that do not require bees and have many bugs that are attacking them, but I also need to make sure to protect the bees which are very important not only to our crops and neighbors crops, but to food supply in general (as seen below). So how do we do it? How do I spray a crop with insecticides while at the same time protecting bees? It’s a good and fair question to ask of farmers. For us there are a lot of factors in play. We have choices and I would like to line out a few that we consider. 1. Timing. Bees like many insects are not always out and about. While they are “busy” by nature, the times when they rest or stay in their hives can be timed and worked around. This gives us windows of opportunity to make sensitive applications. For instance spraying at night or during the cool morning hours when those little workers are in their hives. 2. Where the bees are located. This is important because even if you spray an insecticide at night, you should always avoid spraying chemicals that could be harmful to bees on crops that have blooms. This is when reading labels on your insecticides is so important. Knowing if the chemical is harmful to bees and how long that time period will last is essential in knowing that you’re not causing harm to bees. Many times this can also mean moving the bees out of the field for a time period in order to safely protect your crop and the pollinators. 3. Insecticide Choice. There has been a lot of research done in the area of bees. Bayer CropScience has been a leader in the recent past showing that they believe there are advances in technology that help us find safer products for bees. They also have been on the forefront of new technologies that have lead the way in helping to make bees healthier, make crops safer sites for them to thrive, and make farmers rest assured that they are not hurting these important insects. 4. Not spraying at all. Of course this is an option and I will say one that we take seriously. Many times we will select a timing of spray that minimizes risk, say early in the morning, and then will take it a step further and leave a buffer (an unsprayed area) between any blooms and the insecticide. While this isn’t the best for the crop we are trying to protect, we also understand that sometimes there is just no silver bullet and you have to triage how you manage all your crops across the board. See…the bees love this farmer! As farmers I can’t tell you enough how aware we are of the importance of bees for our crops. These are just four important factors that we take into account when the time comes that we need to make a decision about spraying insecticide. This list of four, it’s only the beginning in a long line of decisions that we have to make. I have to admit it would be a lot easier to farm without an entire ecosystem in mind, but as a farmer that is a luxury that I simply cannot afford. It’s MomSense – Hold on Honey, What’s the Buzz about Bees? Also Bayer CropScience has an excellent website dedicated to bees. Another great place to learn more! Excellent post on bees Brenda! 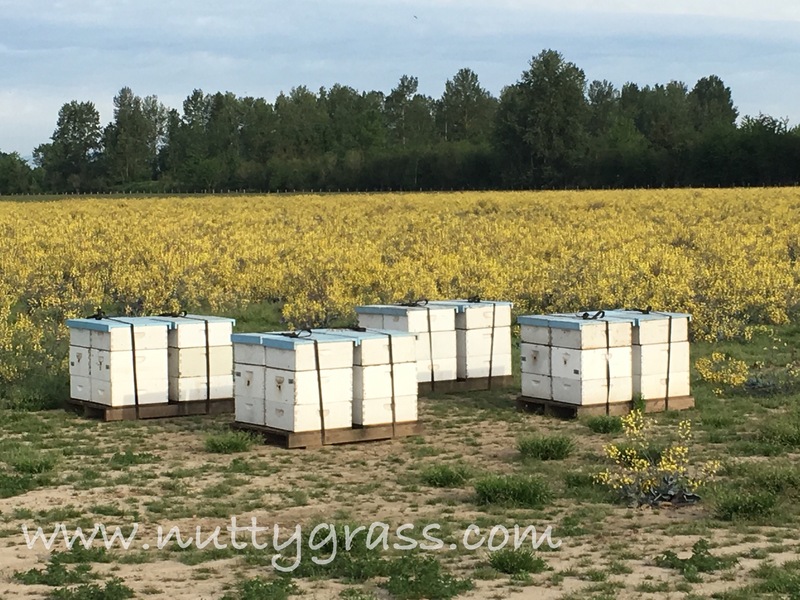 There is a lot to think about how bees, crops, and other insect controls work in unity. We are all glad that you and your fellow progressive farmers are on top of it ! Keep up the great work and helping to keep the world informed!